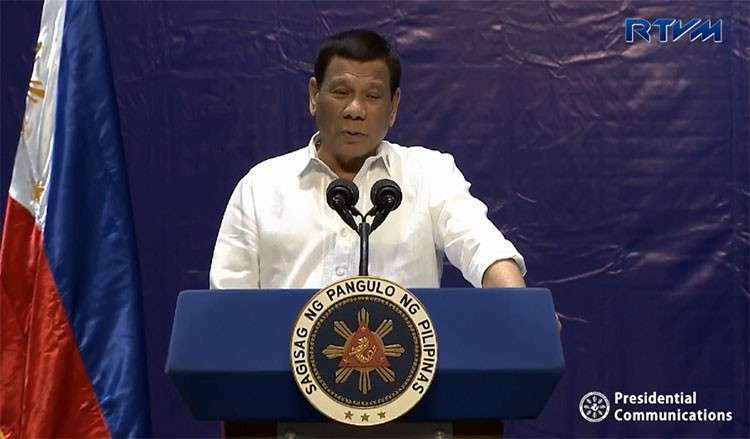 PRESIDENT Rodrigo Duterte on Tuesday, January 8, prohibited members of the police and military from drinking in public places, in an effort to stop them from being involved in trouble when they get drunk. In a speech delivered in Pasay City, Duterte lamented that some of soldiers and policemen fought each other during drinking sessions, and in some cases, ended up killing each other since they were carrying their guns with them. Duterte gave the directive to the state forces, as he recalled beating a soldier and a cop in a hospital for shooting each other. He noted that the police and military usually pick a fight over the microphone.